When the band that would eventually become Lone Brethren played their first two gigs, (back-to-back sold out shows complete with professional sound, professional lights, and multiple ovations from appreciative crowds in the hundreds), they were faced with a dilemma: How on earth do you "one-up" that experience? A name change, a new bassist, and six months later, they did what any self-respecting originals band would do. They entered the studio. The initial thought was to quickly cut a demo to help get the word out, but considering all five band members write and/or compose (collectively in the hundreds of songs), the song list just grew and grew. And so, the demo became an EP, and the EP became a full blown debut CD complete with a zinger of a song to help propel their home team, The Senators, into the Stanley Cup Playoffs. Experience one-upped? Check. Dilemma solved? Uhm... no. How will they go bigger and better next time? What will they come up with? This is where they're at today. The balance of this story is, quite literally, up to you. Listen to the music and become fans/friends with them on Facebook. Spread the word that there's a band that needs reviving and that there's a movement afoot to do just that... ...and that you're at the leading edge of it. It all began as a side project for charity events. Paul, Luc and Terry, each in their third year as separate acts in the same show, decided to join forces. They recruited Ian to cover lead guitar and, a mere two and a half practises later, they played those now infamous sold out shows at the Maison du Citoyen Theatre in Hull. Since then they brought in some young blood in the form of a new bassist (Dylan), and proceeded to write and compose at a break-neck pace. After a brief affair with a clarinet, Paul realized that the relationship wasn't going anywhere. In fact, as he puts it, "It really blowed." Still on the mend and vulnerable, he soon fell head over heels in love with the drums (including tympani, cow bell, triangle and, all the girls favourite, wood block)... Though he never looked back, he admits every once in a while he would flirt with a guitar, but realized that there is more to a musical relationship than just a 'great body'. Paul's musical accomplishments include 8 years in the Morning Star Secondary High School stage and concert bands (Paul often boasts High school was the best 8 years of his life). Since his eventual graduation, Paul has devoted his talents to charitable causes. Paul has dabbled in songwriting but is better known for his ability to set the groove for a song and shift it effortlessly up or down a notch giving LB songs great depth and dynamics that lift you and move you start to finish. Beyond all his accomplishments is Paul's obviously light-hearted nature and love for everything fun. He balances his humoristic side by being a soft-spoken grounding force of the band both in musical terms as well as in the thought process of developing fresh and exciting new tunes. Born in Nova Scotia, raised in Northern Ontario, and settled down to raise a family in the Nations' capital, Luc has been an Indie Singer-Songwriter for 25+ years (long before it was cool to be "Indie"). During this time, he has cultivated a successful closet career writing well over 550 songs. 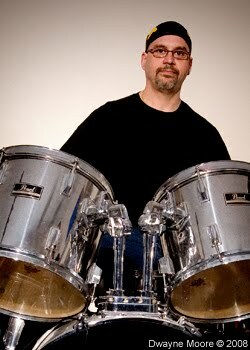 Multi-faceted and multi-talented, he started out as a drummer in the early '80s and since has played bass, rhythm, lead, lead vocals, etc... in various different bands each with successes far underachieving expectations. 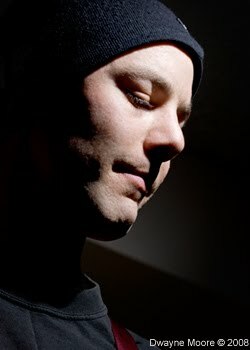 In 1993 he produced "Summer Solstice" which consisted of 26 original songs recorded in a basement apartment in 4 days... all with a nasty head cold. As he recounts, "It took me 3 more days to get rid of the head cold and 14 years to release my next album." This time, however, his CD entitled "Once Upon a Chime... in my Head"; (or "OUCH" for short) has slowly gained him a new fan base stretching as far south as Texas and internationally, particularly in Australia. All in all, OUCH has outpaced Summer Solstice tenfold which would be quite an accomplishment if Summer Solstice hadn't performed so abysmally. Still undeterred, he'd been juggling a handful of new studio projects (including voice-overs and producing sound for theatre, not to mention his next solo CD) when Lone Brethren became. He doesn't mind having put those projects on hold stating "It's nice to now get out and play with these boys. It's also quite exciting to be in the company of such incredible talent." One day, shortly after his 14th birthday, Terry walked into a church in northern Ontario where his mother was practicing with the choir for the upcoming Christmas season. The next thing he knew, he was singing solo at the midnight mass. Whether that was Fate, Faith, or Divine Intervention, word quickly spread that there was a new singer in town. Word travels fast in small towns and, Sturgeon Falls certainly being in that category, before long, Terry was participating in the yearly talent show put on by the town and was fronting a new band. He fondly recalls "My summer jobs were gigs in smoky clubs in northern Quebec." In 1988, Terry entered a CBC contest, Ontario Pop (described as "Canadian Idol for Franco-Ontarians") and made it to the final four. This gave him the opportunity to sing in the National Arts Centre (NAC) Theatre and be broadcast coast to coast on radio and television. It also opened up other doors and, shortly thereafter, he performed with his band at "La nuit sur l'étang". THE big show for Franco-Ontarian Talent. Two years later, he entered Ontario Pop again but this time as a singer/songwriter, with the first 3 and only songs he'd written. As has become a mainstay in his career, he was once again successful; made it to the final four; and was thrilled to perform in Southam Hall of the NAC, once again broadcast coast to coast on radio and television. The following year was spent growing a respectable mullet and touring Northern Ontario High Schools and concert halls (Sudbury, Timmins, Elliot Lake and Sturgeon Falls) with the band. He then got married (to one of the members of the band), settled in to a new house, and experienced that for a while. Then in 1999 he pulled together a group to compete at Tech Rocks to represent his then-employer Industry Canada. As was to be expected, they made it to the semi-finals that year and landed a spot on the compilation album. Tech Rocks came again in 2000 and Terry's band made it to the finals, the winner of which would open for Tom Cochrane at the Corel Centre (now Scotiabank Place). While they did not win, as Terry puts it "...the experience was out of this world and Tom Cochrane is a really cool guy." Since then Terry's been performing here and there; at weddings and functions and most recently at charity events which is where he met Luc and Paul. 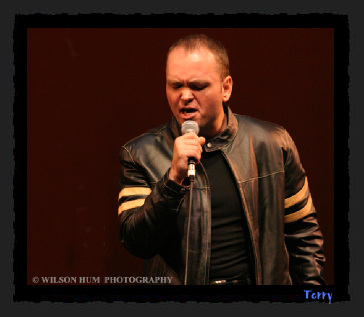 The velvet voice of the band, Terry brings a huge amount of charisma to the stage; showing an ability to captivate the crowd from the moment he steps in front of the microphone. Ian keeps his musical accomplishments close to his chest like a good Texas Hold-'Em player. What causes him to be so protective of his past might be a toss-up between simple humility and a lack of said accomplishments... that is... until you actually heard him play. Once you get a dose of his ripping guitar solos and infectious hooks, it's easy to see that, just like a good poker player lets the cards do the talking, Ian prefers to deliver his dialogue via any one of his beloved guitars. 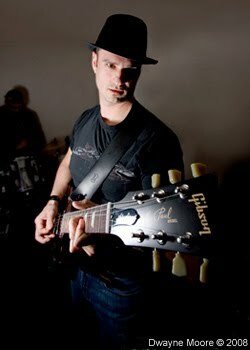 Like so many lead guitarists before him, his roots are deep in the blues and hard rock but the magic comes through the infusion of influences from the other band members. Luc's Roots 'n Roll; Terry's Franco-Mullet Rock; Paul's motorcycle; and of course, Dylan's Ska/Punk Folk. He certainly shudders at the thought of being called a songwriter and has often been heard to say "I don't care about the words, is the groove any good?" Still, he actively partakes in the composition process and triggers many new ideas by cooking up those little snippets that lodge firmly between your ears and become the soundtrack to your day. When pressed further, he finally opens up a bit: "In the past, I've played with many accomplished artists...", he adds "...but I'd yet to find the chemistry that Lone Brethren has amongst a group of musicians." Chemistry? Okay then... Here's to the coolest petri dish in the laboratory known as Rock n' Roll. Dylan's too bloody young to have a "bio". - Ed.